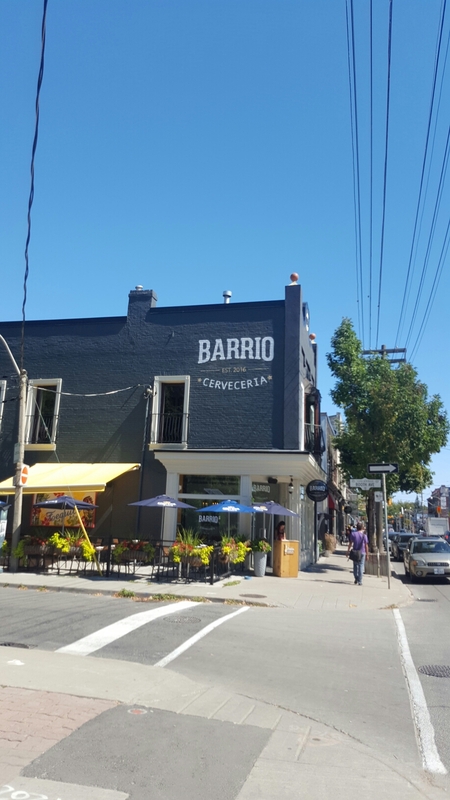 Barrio Restaurant, as seen from the West. Labour Day is commonly known as the last long weekend of the summer in Canada and the U.S. Most people head out of town to cottages or to camp. This year, because I am doing a bit more travel than expected, I stayed in town. What to do in Toronto? Well there are plenty of things to do! The CNE (locally known as “The Ex”) is still running, and for the first time, the annual Epilepsy Toronto Buskerfest ran this weekend at Woodbine Park. But before heading over to the Buskerfest, my girlfriend and I decided to go to church, then have lunch.